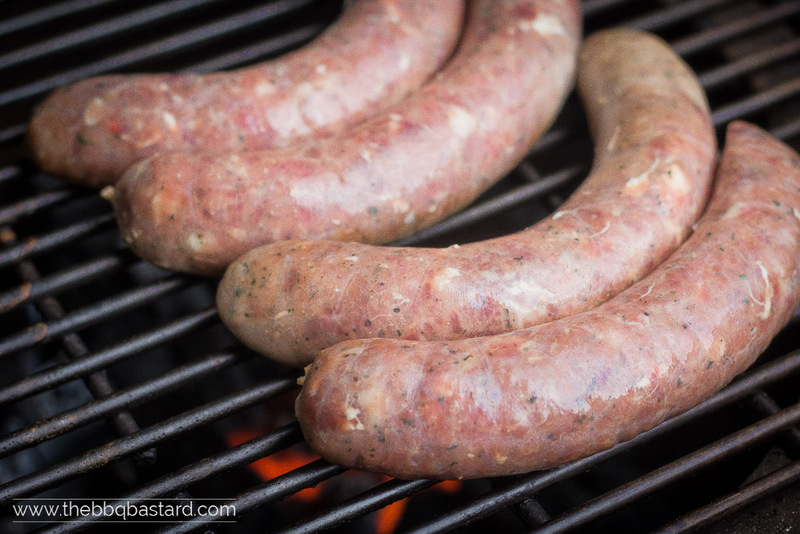 Homemade Italian Sausage – Learn how you make them! “Salsiccia” is a delicious homemade italian sausage. In America the tag Italian sausage is used for pork sausages spiced with pepper and fennel. In Italy however a wide range of sausages are made. 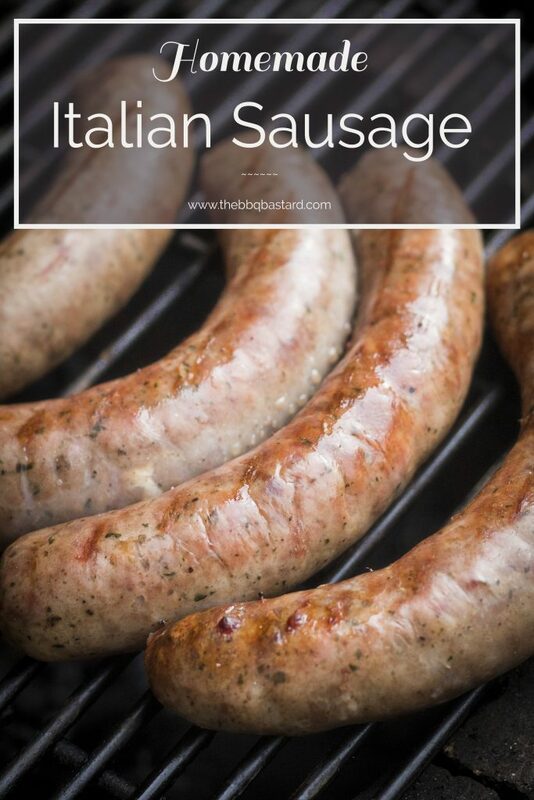 The advantage of making your own homemade Italian sausage is that you can make them the way you want! Make sure however you add some Italian spices to your pork sausages. Making sausage is an art! You need the technique to handle the sausages. But if you find yourself a good explanation and a friend to help you along in the beginning, it’s really not that hard as it sounds. So what makes it an art? The art is creating a recipe that tastes delicious! You need the right amount of spices and fat to get you a well tasting juicy sausage. Before you start experimenting it might be useful to start from a recipe you trust. Beside that you always need to take a look at the meat you are using. One pork shoulder ain’t another. Sometimes they have enough fat and you don’t need to add pork fat. In Belgium we mostly need to add some pork back fat. For homemade italian sausage you need the italian spices. I used some common italian herbs beside the fennel seeds. 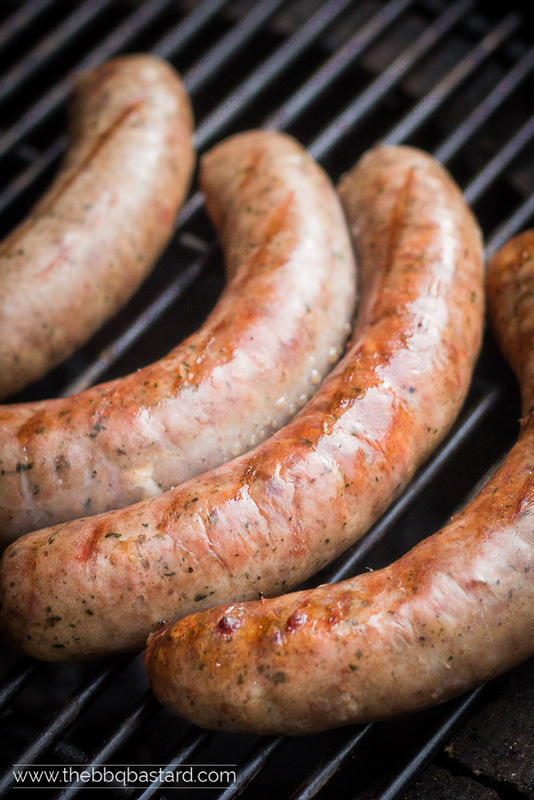 Think especially of the green herbs like thyme, rosemary, sage, … To find out how much spices you need for the sausage to be at your taste you don’t need to wait till they’re grilled. Mix your spices through the minced meat and bake some in a pan to taste the result. Add some more spices when desired before forming the sausages. If you want to read more about the process of making the sausage, take a look over here or read the recipe below. 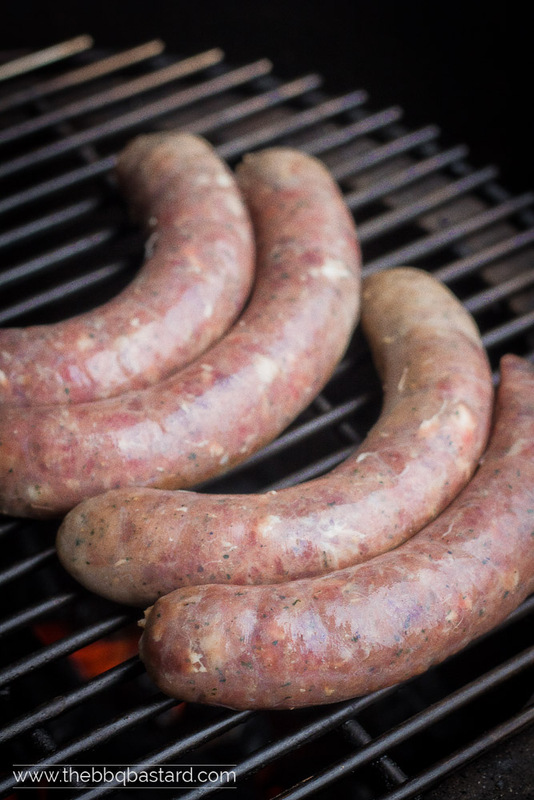 When making the Italian sausage you can go your own way. You can slowly smoke them like I did with the chorizo or you can grill them high and fast! In each case make sure you don’t exceed the internal temperature of 74°C/165°F. Otherwise you risk the fat to melt and end up with dry sausages. Thanks to all of you supporting this blog and stopping by to read about my cooking sessions. I hope it gets to inspire you for your next barbecue session! As I’m always looking for a chat and more inspirational posts I would like to get to know you guys and girls better! So stop over at my Facebook group (The beer, booze and bbq communion) and share your experiments, beer stories or questionsI And while talking about social media: Please share with your friends to support this blog. Making sausage from scratch is awesome! You can tune them the way you want and always know what's in them! Learn how to make them know! Take a look at this delicious Italian sausages or start making some chorizo now! Serve these delicious sausages with apple sauce and baked potatoes or add them to the "Completo Italiano con Batato" I posted last week. Start by cutting the meat in dices from about 2-3 cm. Freeze the diced meat and back fat for 1 hour. This will make it easier to process. Meanwhile mix all ingredients for the italian sausage spice mix them thouroughly. After an hour mince your meat with a meat grinder. Use the large blade (8mm.). You need a coarse meat texture in your sausages. I use this grinder but I'm sure you can find other good quality meat grinders too! Add two tbsp. of italians spice mix per kg minced meat and mix thouroughly. Put back in the fridge for a half hour. While the minced meat is in the fridge: thouroughly rinse the pork casings with cold water for a half hour. Don't skip this. The casings are preserved in salt and you don't want your chorizo to taste overly salty. Hint: spool the casings a couple of times with the cold water and let them rest swollen in the water for the remaining time until you use them. Fold the casings on top of your sausage stuffer (mostly included in the meat grinder kit). Put the spiced mince in the stuffer and turn on the machine at medium speed. Gradually lead the sausages but make sure you stuff them enough. It's a bit of a search to find the right tempo. You need the casings to be filled without air bubbles but they can't be to filled or they might explode. Once the casings are stuffed with the meat you can form the sausages by twisting the italian sausage. Shift the direction you twist, at each sausage end (to prevent them from unfolding again). Bake the sausages on a direct low heat fire source (110°C/225°F ). Don't go high in temperature or you will end up with a sausage done on the outside and raw in the middle. Remove the sausages from the fire when they have a nice golden brown tint but make sure you don't go above an internal temperature of 74°C/165°F. Serve with some apple sauce and baked potatoes or try this delicious version of the "Completo Italiano" I posted last week! My intent with this blog is sharing you some recipes as a source of inspiration you could access for free. Bringing this content however isn’t free. Therefore I make use of affiliate links to cope with the costs. These links bring me a small referral commision for the products you could buy after clicking the links. This support helps me running this blog. I guarantee no false statements will be made on this blog and only products I believe in will be linked. Hoping you understand this decision. Thank you! :). - There's an affiliate link on the , "Kamado", "Meat grinder", and "Sausage Kit"